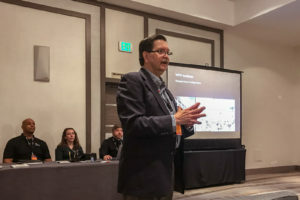 WTW Principal Paul Knell received the Emeritus Award at the recent ACUI National conference in Indianapolis. Active in the Association of College Unions International (ACUI) since 1985, Paul has been WTW’s planner/design leader on over 100 student life centers across the United States and has received 42 design awards, including 15 Facility Design Awards of Excellence from ACUI for his innovative solutions based on several principles that have set the new standard for student life facilities. 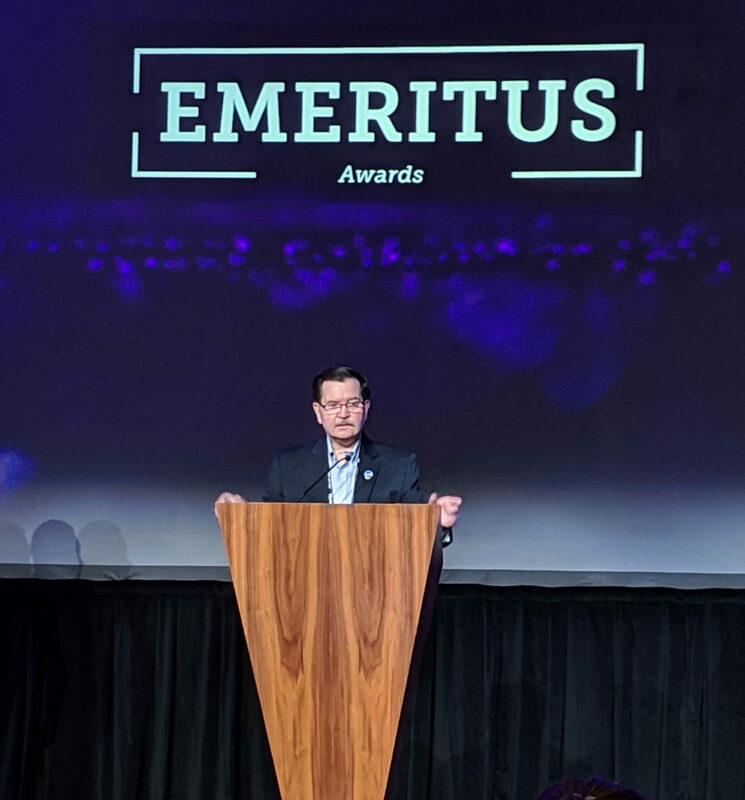 Emeritus Award – This designation conferred by the Board of Trustees celebrates professionals for their leadership and dedication to serving students and advancing campus community through their careers in the field. 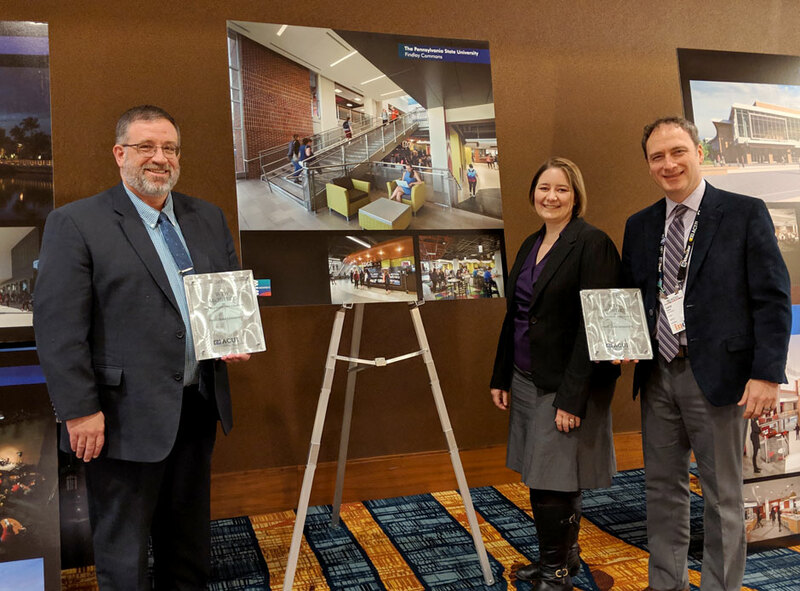 Penn State received a 2019 ACUI Facility Design Award of Excellence for the newly renovated Findlay Commons at the Association of College Unions International conference in Indianapolis. Findlay Commons is part of East Food District on the University Park campus. 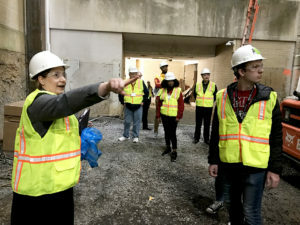 The construction project included renovating about 55,000 square feet or 45 percent of the building, which was built in the mid-1960s and last renovated in the early 1990s. 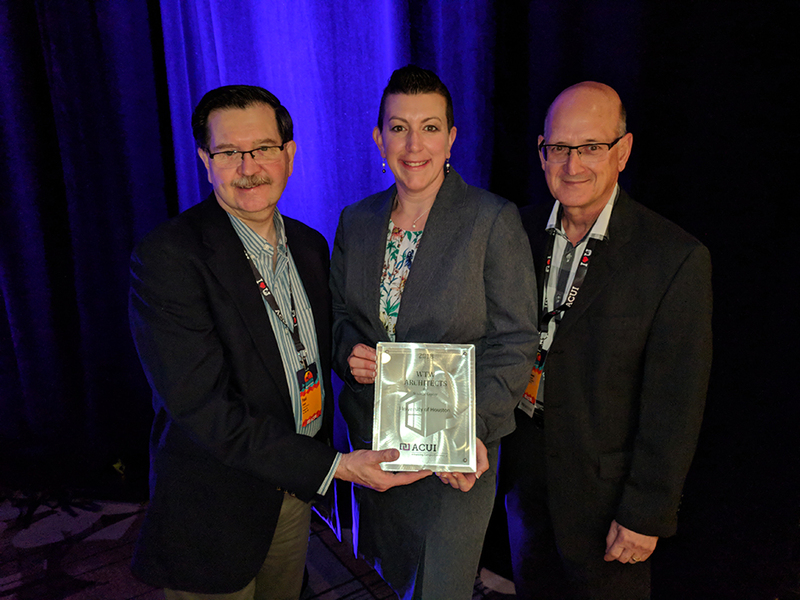 The award was received by Penn State’s Jim Richard, senior director of Enterprise Services for Housing & Food Services and WTW’s Principal Larry Payne and Architect Amy Maceyko. Congratulations to WTW President & CEO, Rich DeYoung! 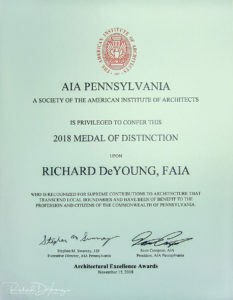 AIA Pennsylvania awarded Rich the Medal of Distinction during a ceremony that took place on November 15. 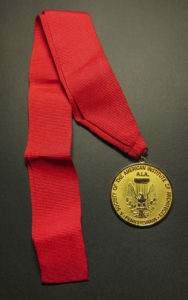 The Medal of Distinction honors an individual who has made “contributions to architecture that transcend local boundaries and have been of benefit to the profession and citizens of the Commonwealth of Pennsylvania.” It is the highest award that AIA Pennsylvania bestows upon living members. 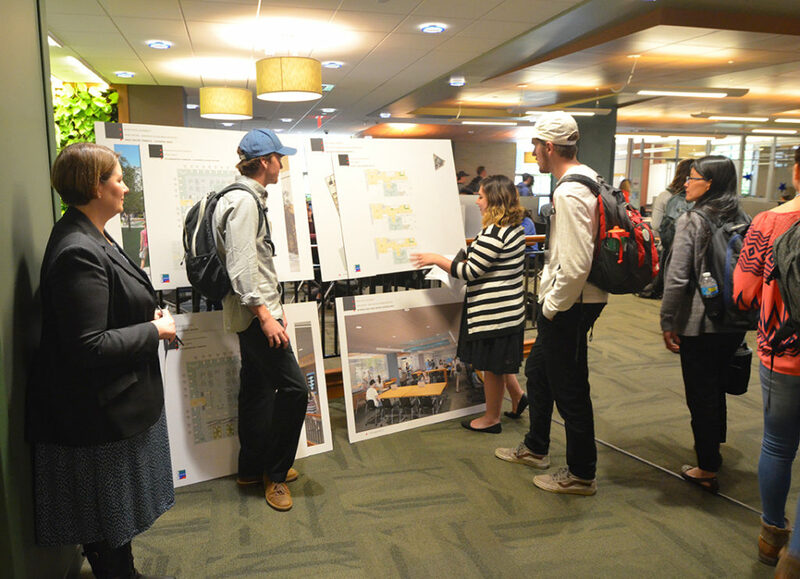 As part of a recent higher-education conference at Penn State University, WTW Architects conducted tours of the Pattee Library renovation project. 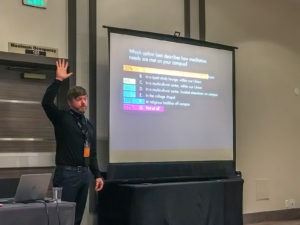 Conference delegates learned about our research into the evolving needs of the Z-Generation of students and how techno-flexibility, One-Button studios, and maker-spaces are being incorporated into our next generation of student life facilities. 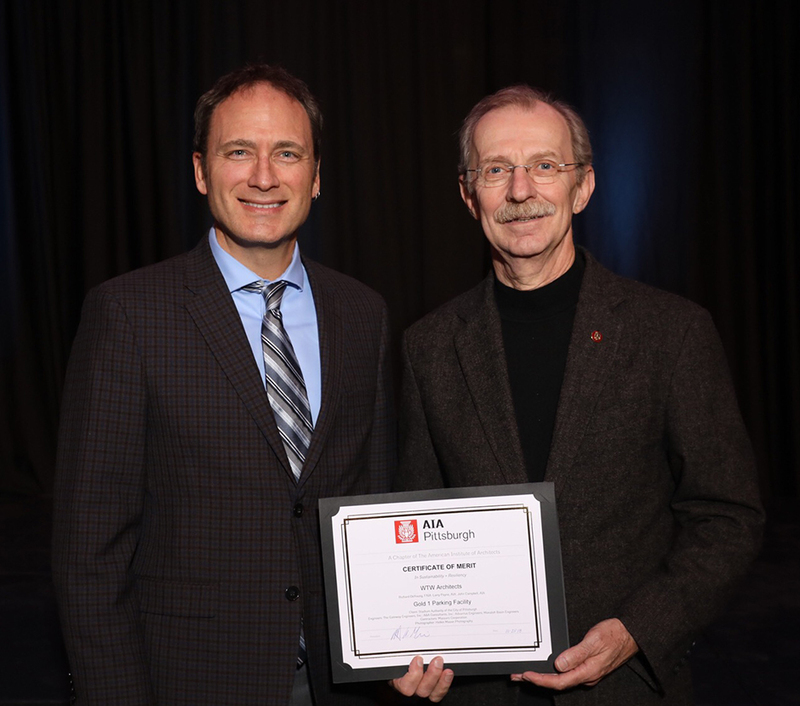 WTW Principals, Rich DeYoung and Larry Payne accepted the award for Gold 1 Parking Facility at AIA Pittsburgh 2018 Design Awards. 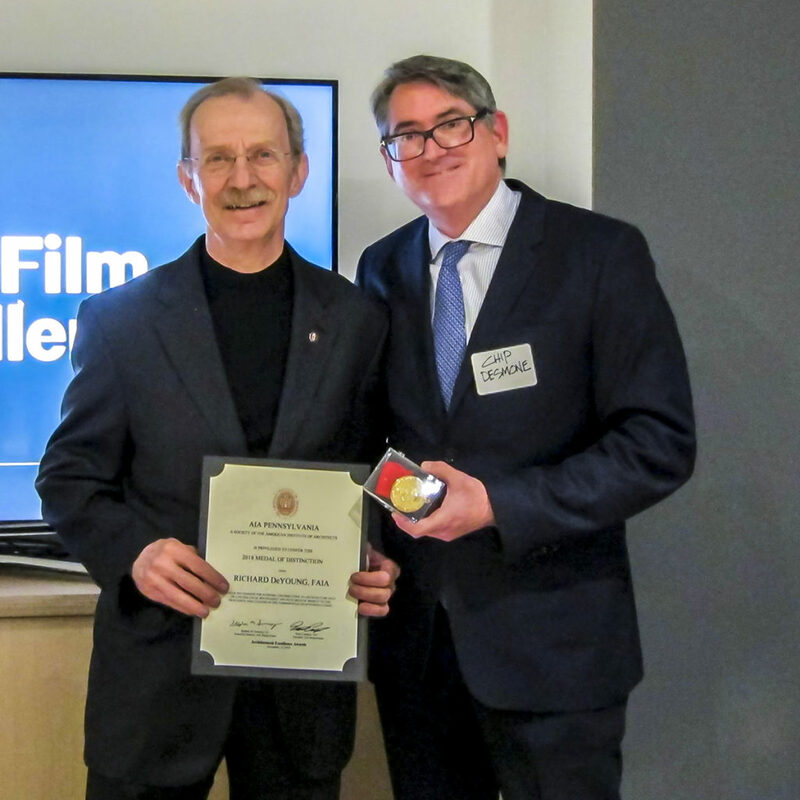 WTW Architects won a Certificate of Merit in the Sustainability and Resiliency category for the design of the North Shore’s Gold 1 Parking Facility, the world’s first Parksmart℠ Gold-certified facility. Gold 1 Garage - Parksmart℠ Gold! 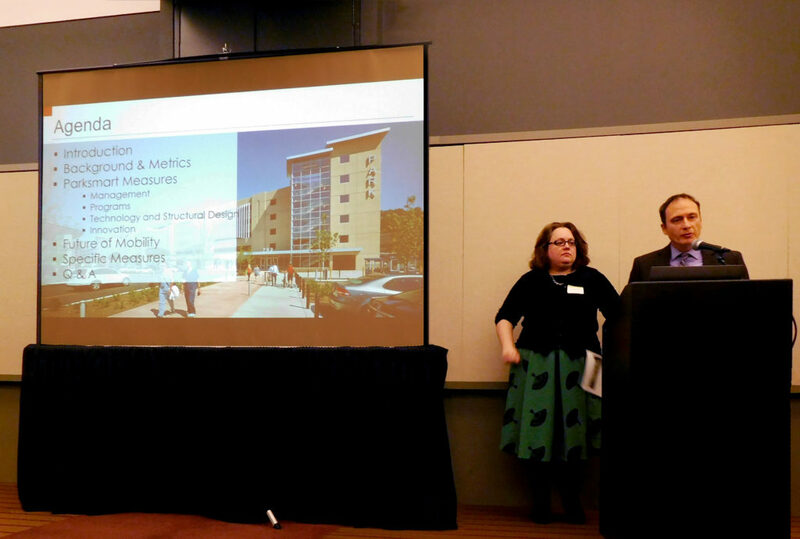 At Pittsburgh’s 2030 District Partner Meeting, WTW Architects’ Larry Payne and the Stadium Authority of the City of Pittsburgh’s Sustainability Coordinator – Simona Lomberant helped attendee’s understand how the Gold 1 Garage became the world’s first Parksmart℠ Gold Certified Project by presenting a case study. Parksmart℠ is the world’s only rating system designed to advance sustainable mobility through smarter parking structure design and operation. Learn more at www.parksmart.gbci.org. 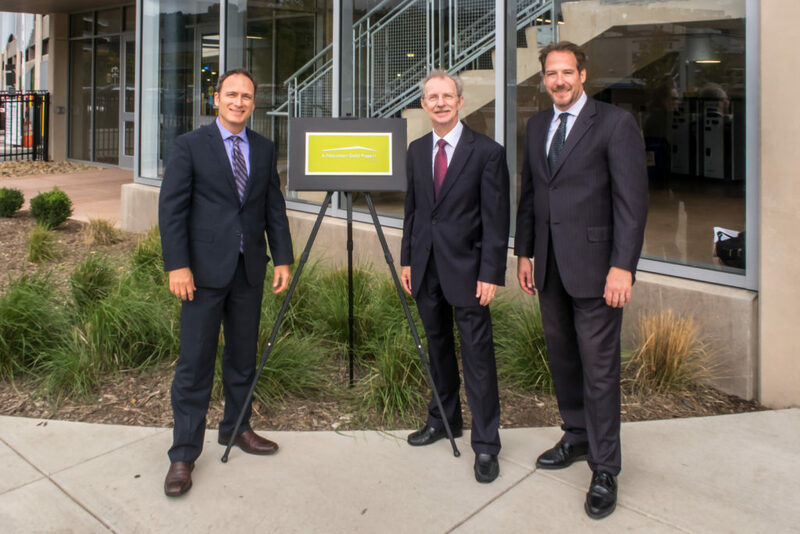 Yesterday, the WTW designed Gold 1 Parking Facility in Pittsburgh was dedicated and recognized as the U.S. Green Building Council (USGBC) FIRST Parksmart GOLD PARKING FACILITY IN THE WORLD. 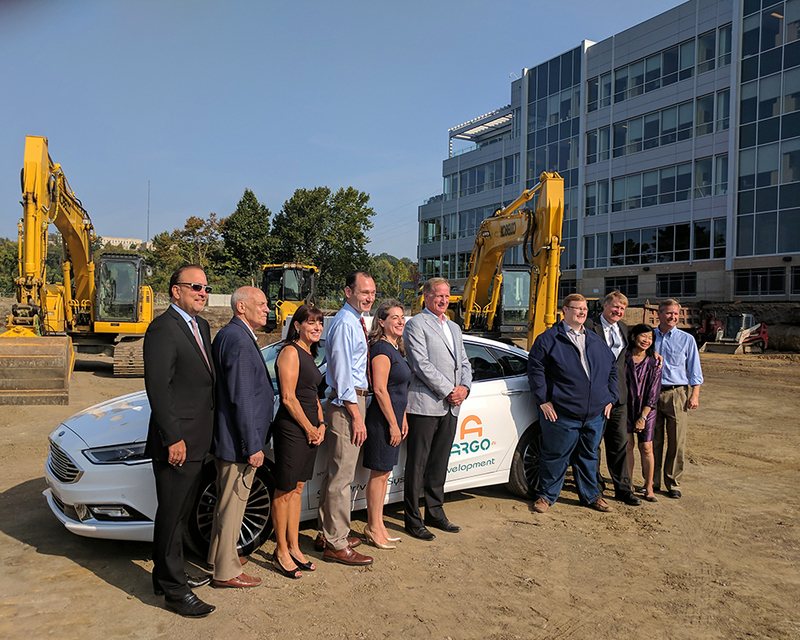 The design is another significant expression of WTW’s commitment to and leadership in sustainable design, with this first of its kind sustainable parking structure. 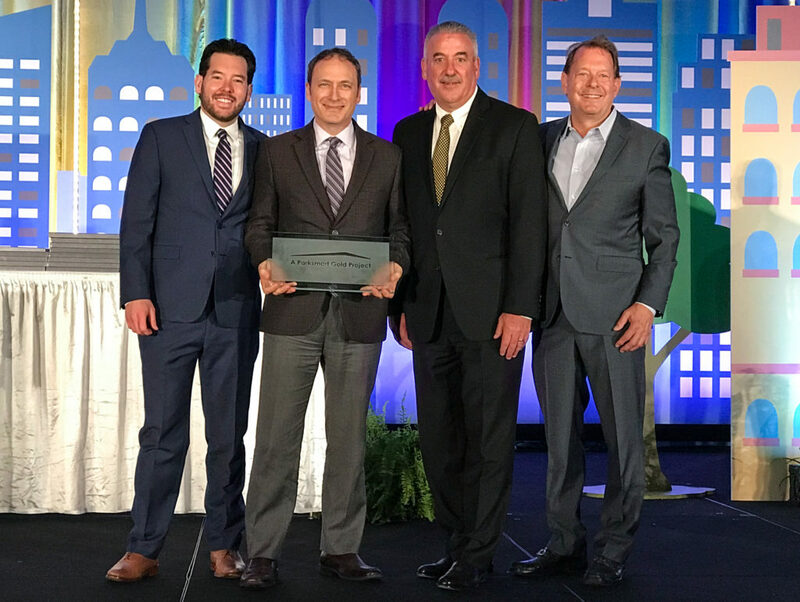 It is also a huge honor for Pittsburgh, a city recognized for its leadership in sustainable design. 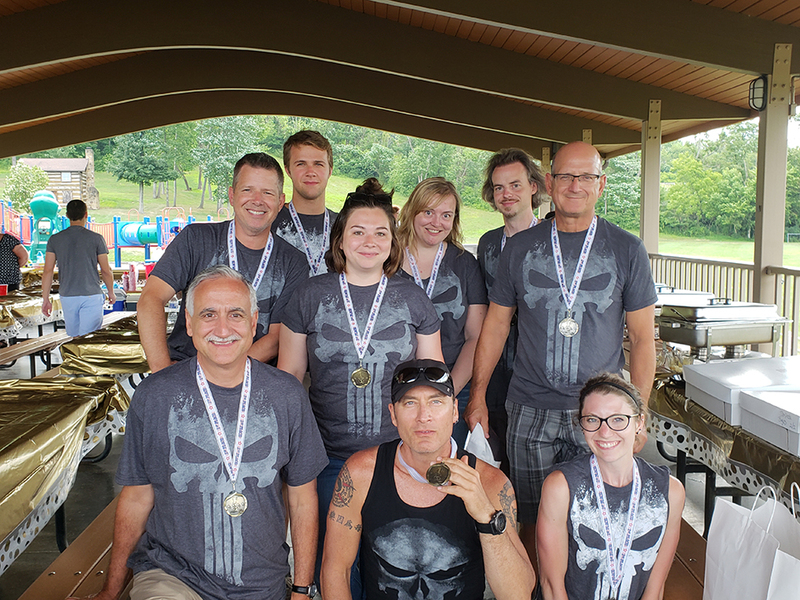 WTW’s Summer Picnic! The Roadrunners put up a good fight but it was the Punishers that walked away with the win! Thanks to everyone in the office and their families that came out for all of the fun. 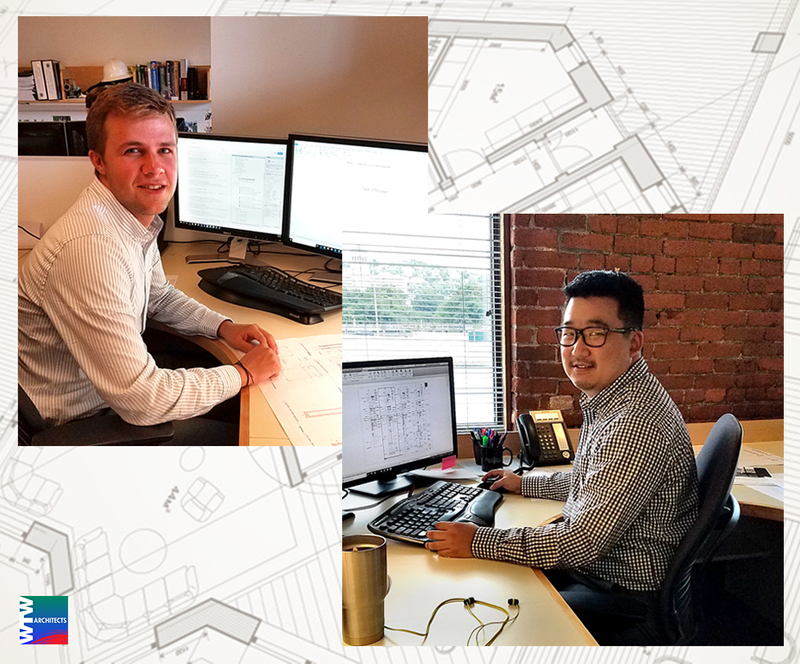 WTW welcomes Anthony Pagliaroli, Architect and Nathan Steinhauer, architect intern to the WTW family. We’re so thrilled to have you! 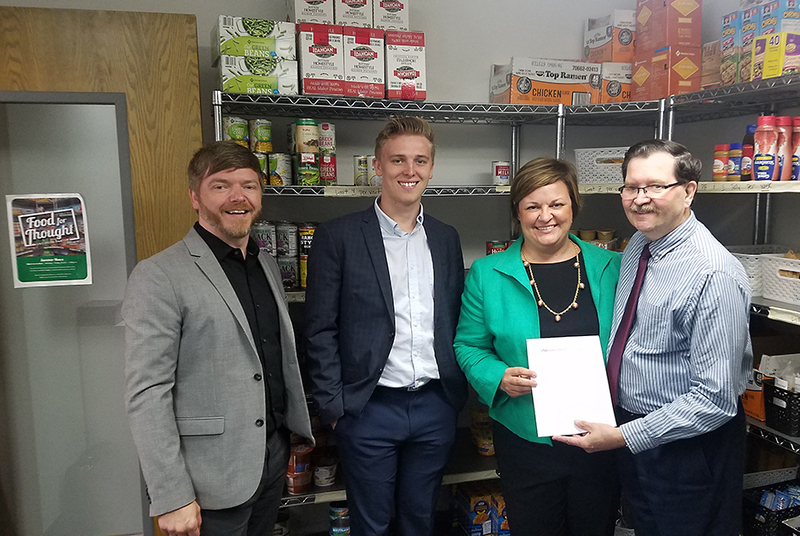 WTW is pleased to support the University of North Dakota’s Food for Thought program. “The commitment and dedication you have shown, not only to this project, but to our students, staff, and faculty has been much appreciated. You have been patient as we have asked questions and redefined the project. You have been diligent in guiding us to identify what we want in our student union. You have consistently maintained your enthusiasm for our campus. And, you have challenged us to consider how our student union can support the overall goals we have for our campus community. A special shout out to our very own Jenna Glover for her achievement. WTW Principal, Larry Payne had the honor of receiving the Parksmart award for the Gold 1 parking facility. 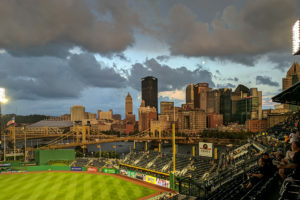 This 1,000-car garage, designed for Pittsburgh’s Stadium Authority, features electric vehicle charging stations, 100% motion activated LED lighting, and a fully equipped secure indoor bicycle parking and service area for 100 bikes. Parksmart℠ is the world’s only certification program that defines, measures, and recognizes high-performing, sustainable garages. 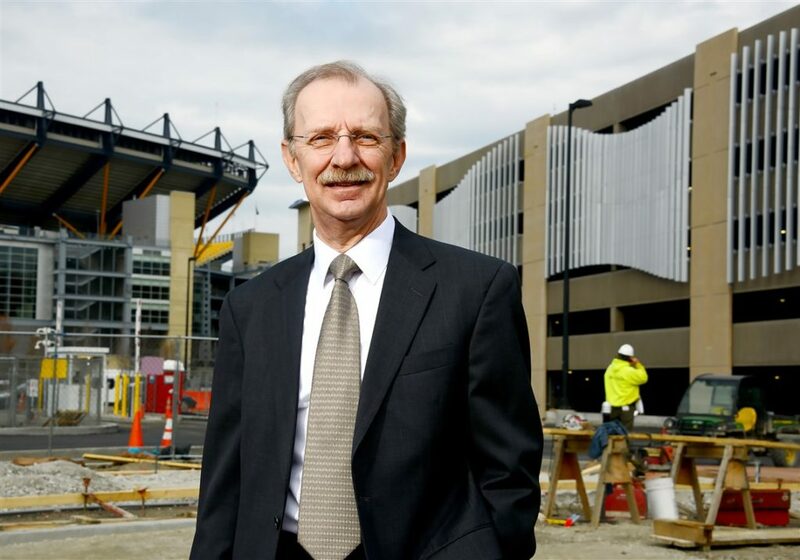 WTW is thrilled to be spotlighted as one of the four local projects featured in ‘A Space that Works for You’ special report in the Pittsburgh Business Times. 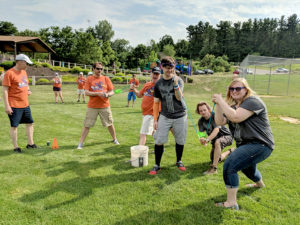 From the article: The Quantum Workplace, Best Workplaces survey states that these five words: Fun, Challenging, Friendly, Engaging, and Rewarding, were mentioned most often when asked “what makes the best workplace environment”. We couldn’t agree more! 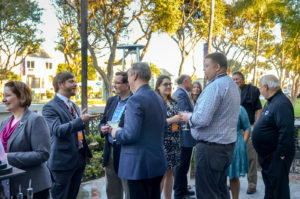 A recap from the ACUI National Conference. 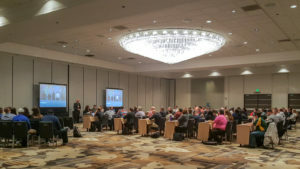 Principals, Richard Bamburak and Paul Knell along with Architects Amy Maceyko and Derek Eversmann, all presented during the conference. Principal Larry Payne also joined the conference and the much acclaimed Martini Party! 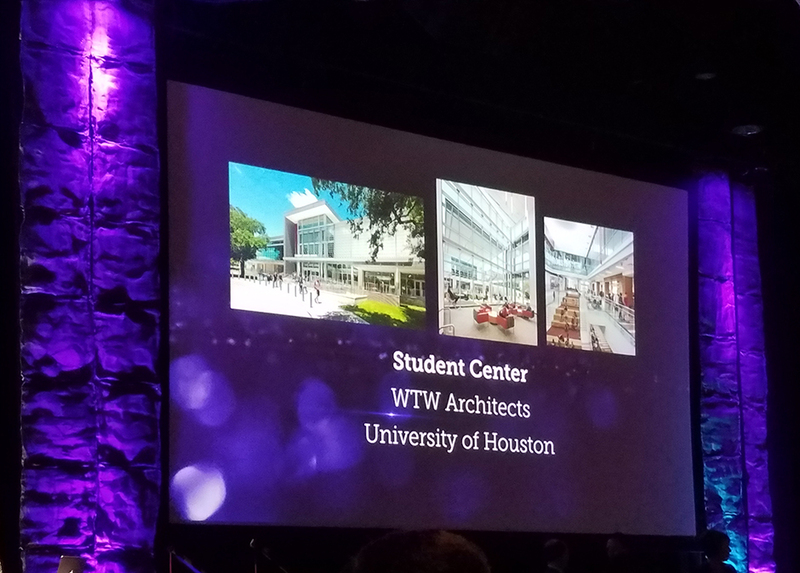 During the ACUI National Conference award ceremony, WTW Principal’s, Paul Knell and Richard Baburak accepted the 2018 ACUI Design Award for Excellence for the University of Houston. Congratulations to everyone involved in this great project! 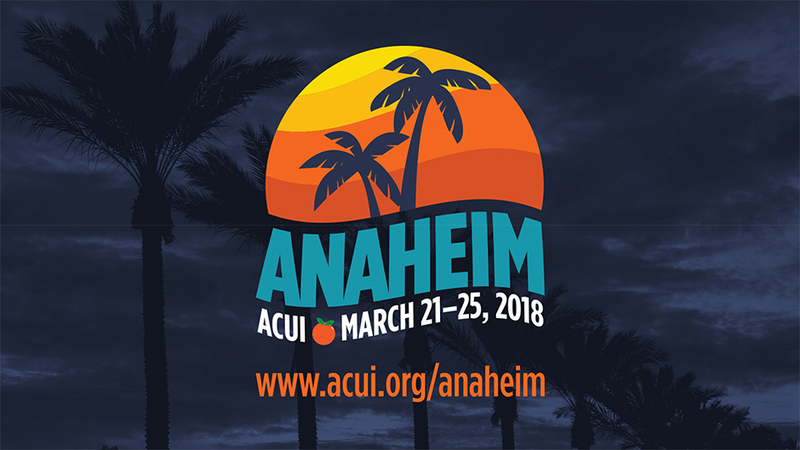 WTW will be attending the ACUI National Conference this week. 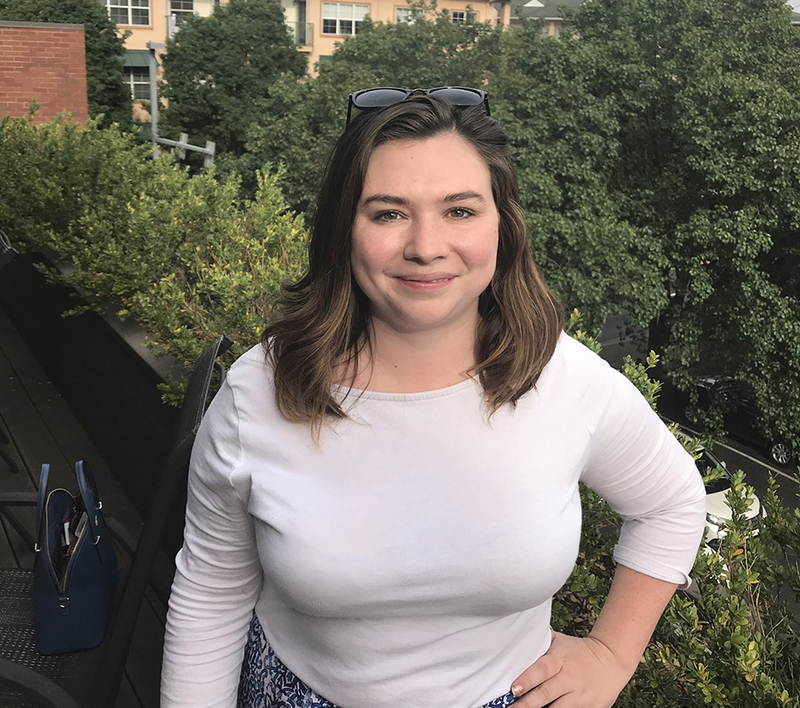 WTW Interior Designer, Jacque Link recently participated as a judge for the TSA (Technology Student Association) regional competition. Students at the Middle School and High School levels can sign up for various competitions including: Structural Design and Engineering, Transportation Modeling, Promotional Design, Flight Endurance, On-demand Video, Architectural Design, 3d Engineering, Forensics and much more. 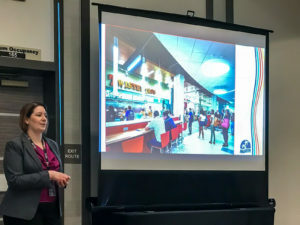 In partnership with Penn State’s Immersive Construction (ICon) Lab, WTW’s Amy Maceyko led a virtual tour through the Building Information Model of the proposed renovations at the Pattee Library. Outfitted with motion tracking 3D glasses, Penn State University Libraries administration and staff took advantage of this virtual reality opportunity to better understand the proposed design prior to the start of construction. Congratulation to the Burns White Center for winning the MBA’s Building Excellence Awards, New Construction over $25M Award. 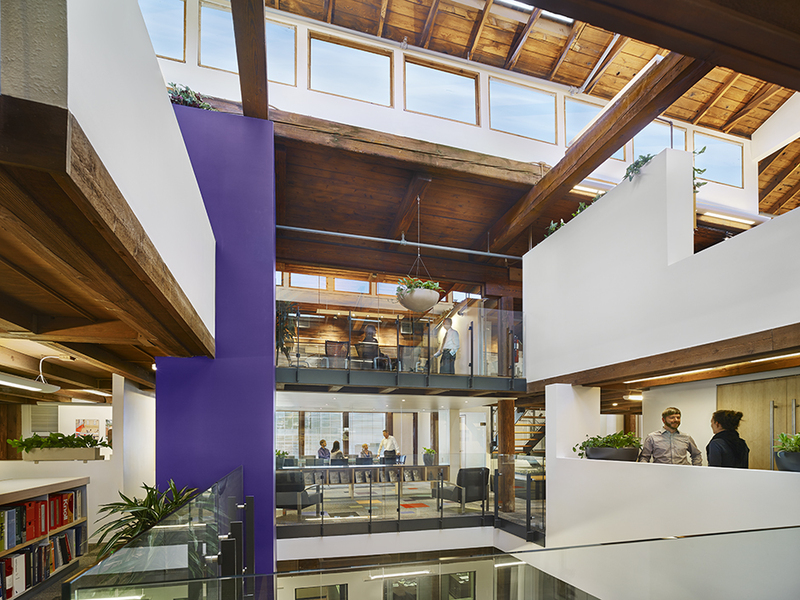 WTW was the architect for the building and Gensler provided interior design for the Burns White tenant improvements. 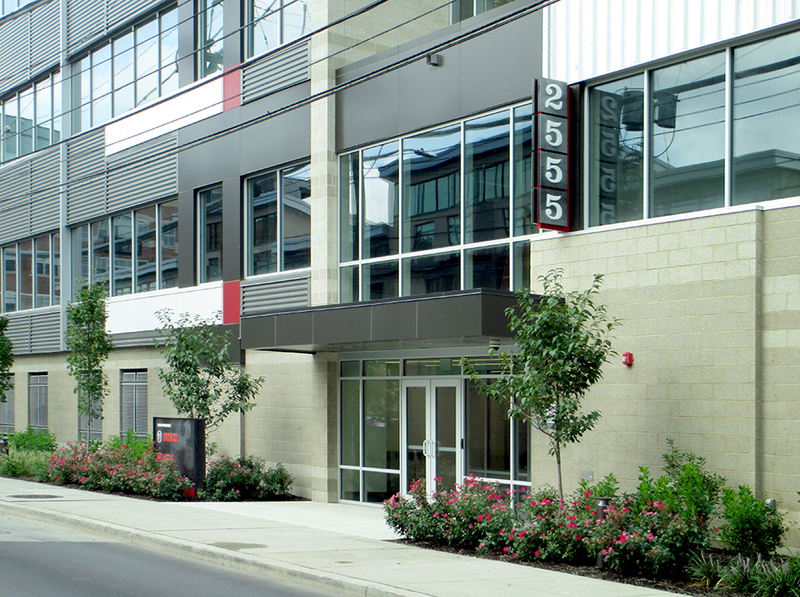 This Oxford Development building is located in Pittsburgh’s, vibrant and growing Strip District. 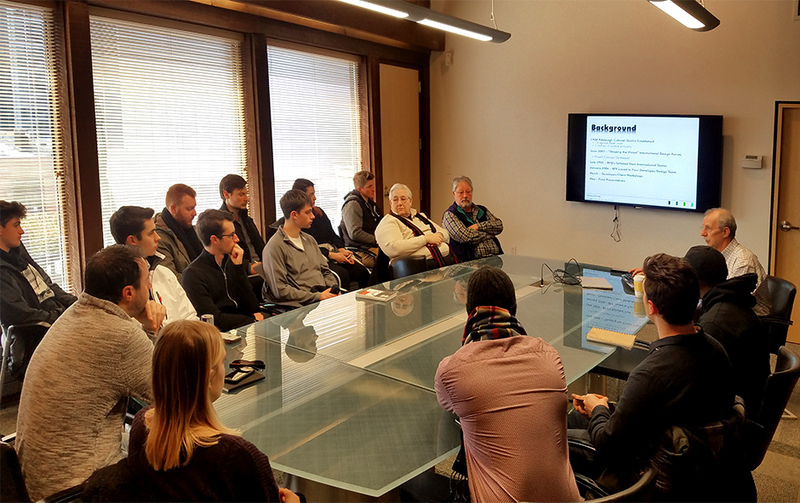 A group of 4th year students in Kent State College of Architecture + Environmental Design – CAED recently visited WTW Architects in preparation for a their comprehensive design studio project sited on the Eighth Avenue block in Pittsburgh’s Cultural District. 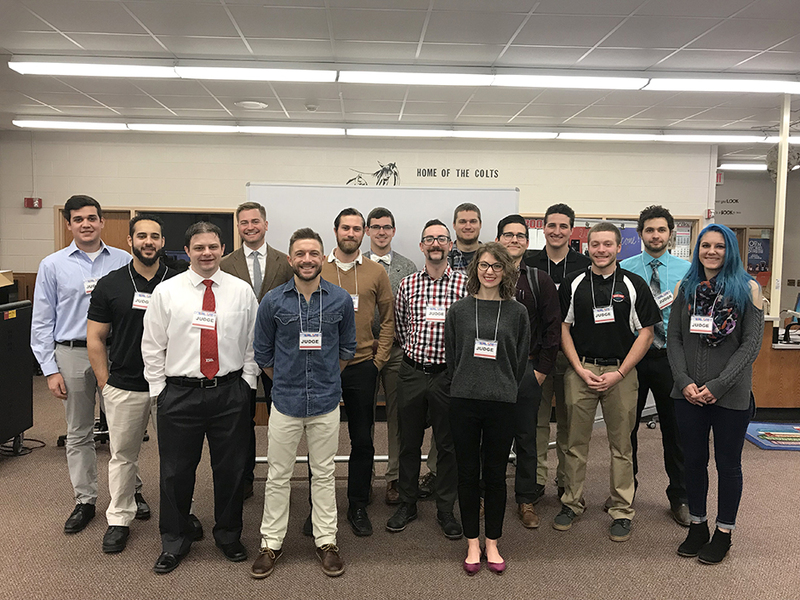 Twenty-eight students and two professors met with Rich DeYoung, Derek Eversmann, and Jenna Glover from WTW. 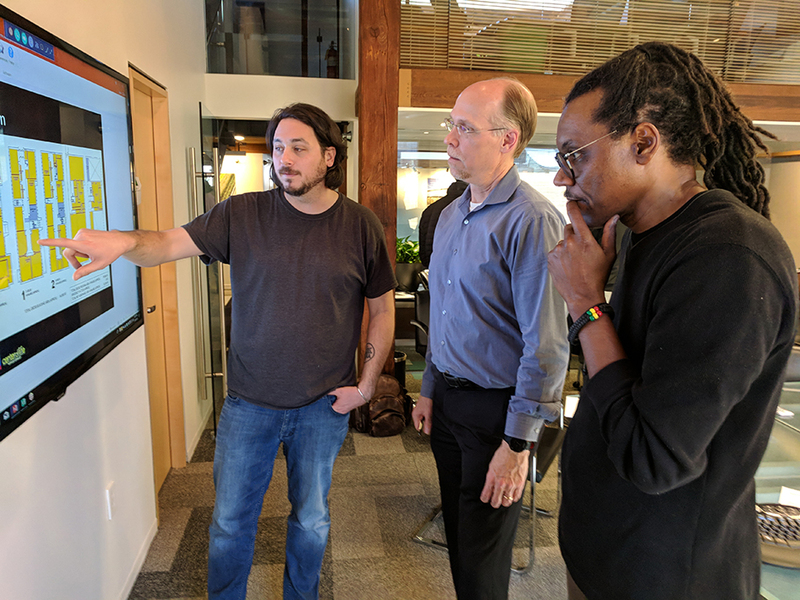 They discussed WTW’s 2007 winning design proposal with Behnisch Architects and Gehl Architects for the Cultural Trust as well as recent Pittsburgh transformations. 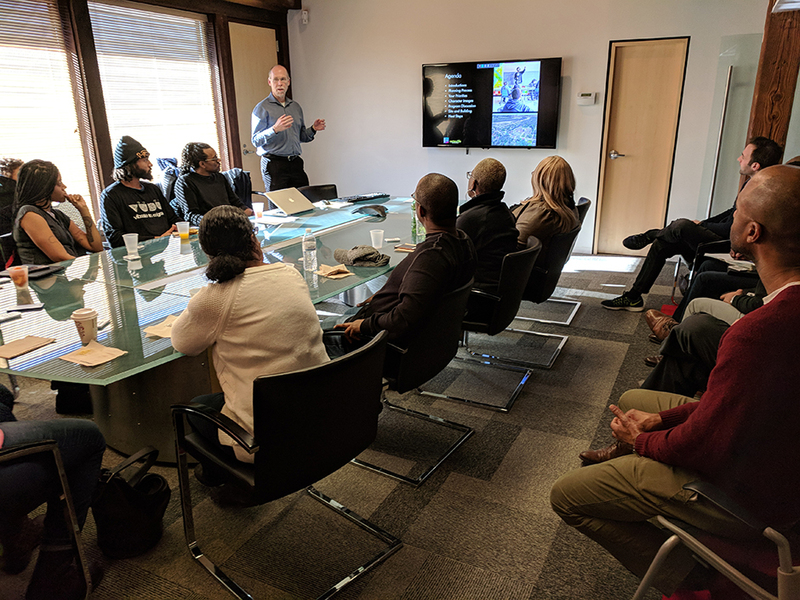 As the first step of a planning study to convert a vacant middle school building into the new home for the Center of Life, twenty two staff and board members participated in a visioning workshop at WTW’s office. The Center of Life is a Hazelwood-based organization focusing on music, tutoring, and mentoring programs for young people and adults. 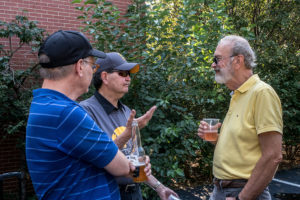 Led by WTW principals Tom Wiley and Paul Knell, WTW is excited to be a partner in the design of this creative community based organization; just another reason to be Pittsburgh proud! 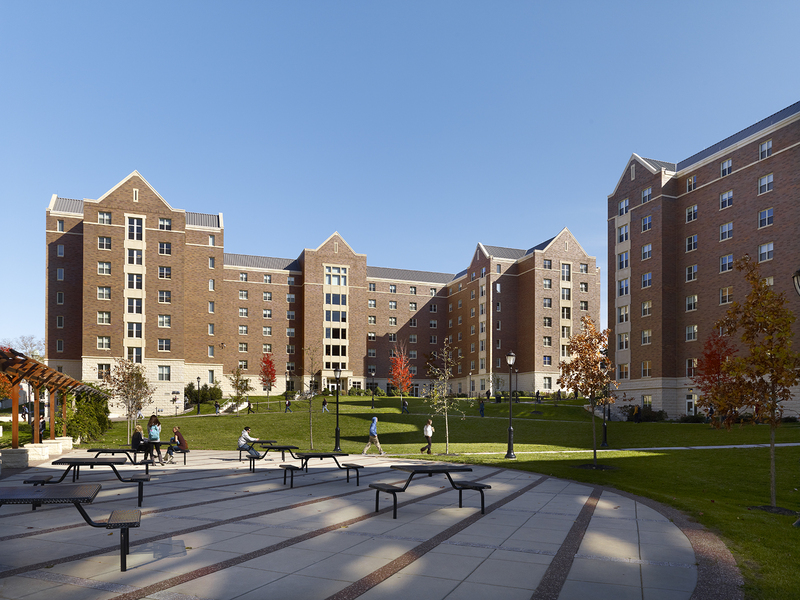 Commonwealth Hall at West Chester University of PA is featured in the latest issue of College Planning & Management magazine. Designed in association with Voith & Mactavish Architects LLP. We made it - Pittsburgh's Coolest Offices List! Thanks Bizjournals for featuring us as one of Pittsburgh’s Coolest Offices. It’s not just the design of the space and building that makes an office cool, it’s the cool, creative group with whom we collaborate every day! 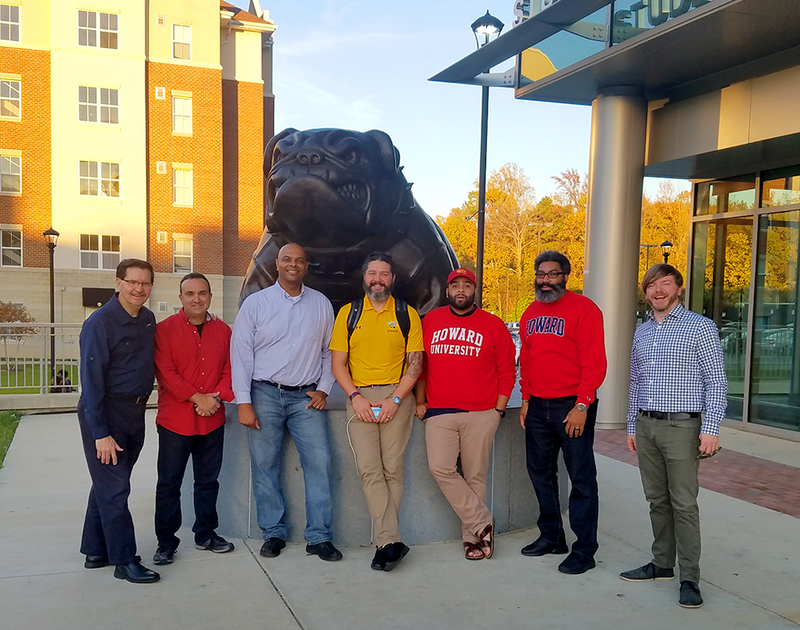 Last week, WTW Architect, Mike Haugh joined a small group of young designers and craftworkers from around the country at the BAC/IMI National Training Center in Bowie, Maryland for a weeklong educational program that fosters an advanced understanding of how to collaboratively design, build, and innovate with masonry. 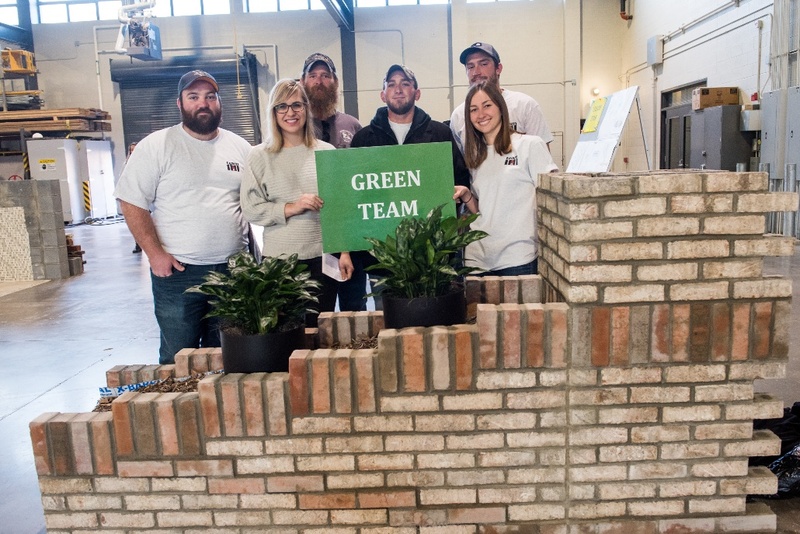 -The Green Team poses with their finished project, which incorporated a custom drain solution to allow plans to grow between healing spaces in their center. 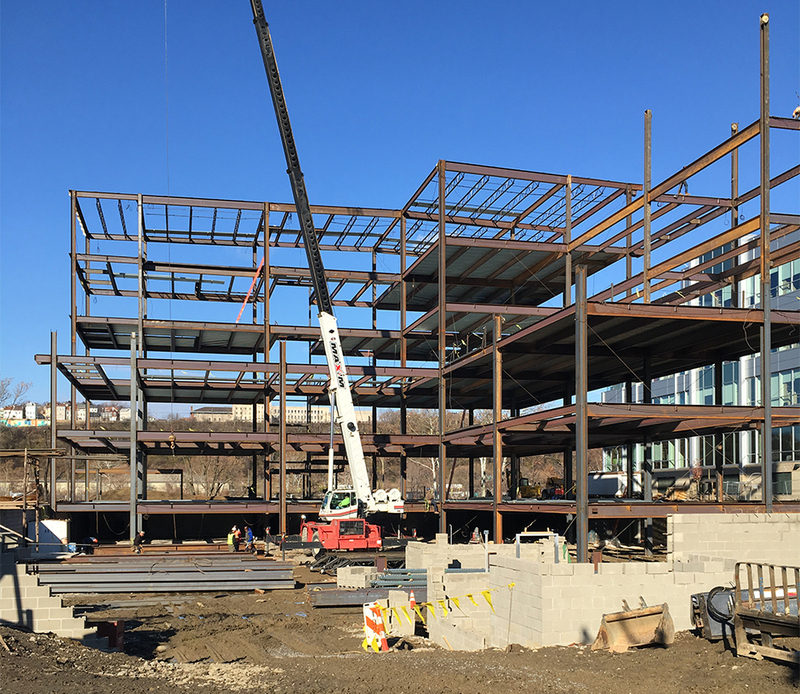 Steel going up on Riverfront West, soon to be home to Argo AI. 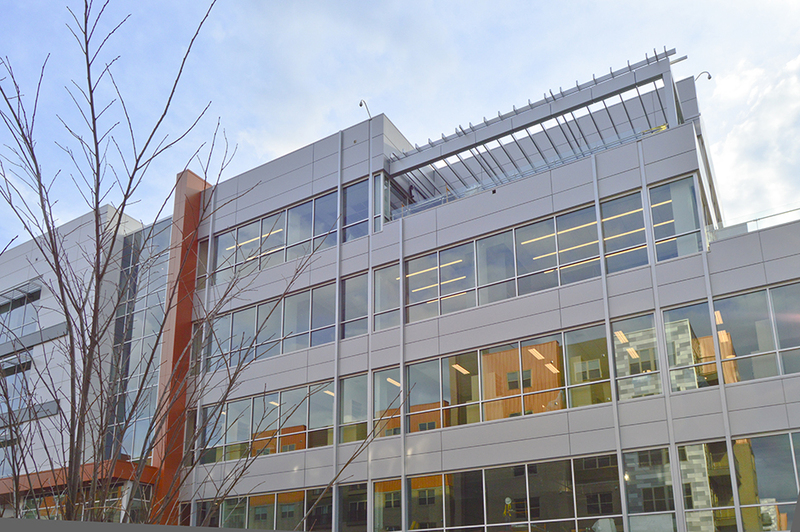 The Oxford Development Company building, 3 Crossings at 2555 Smallman, just received LEED Gold! Congratulation to our project partners, EvolveEA, Rycon Construction, Inc., and Loftus Engineers LLC. The National Aviary's, Wings and Wildlife art show is almost here. We are thrilled to be a Silver Sponsor of the upcoming National Aviary, 2017 Wings & Wildlife Art Show, November 3rd-5th. This is an amazing annual juried show highlighting Wildlife Artists from across the region. For more info or tickets to the opening Soiree and Benefit Auction, please follow the link. We did it! 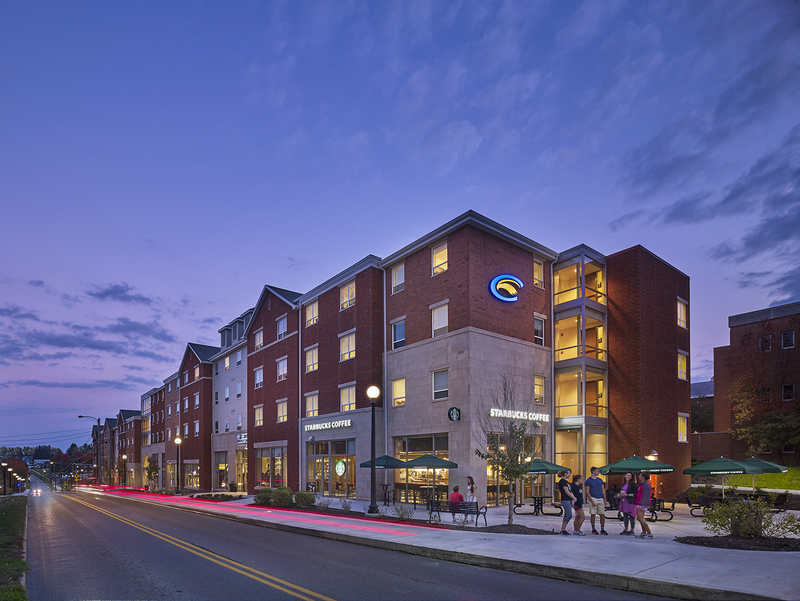 Clarion’s Suites on Main received LEED Silver! The scale, character, and amenities of the complex offers a unique small town urban university experience. Ground Breaking News! Argo AI headquarters to anchor Oxford’s Riverfront West in Strip District. As Architects for this building, it’s exciting to be a part of our city’s growth. Check out the TribLive video and article! 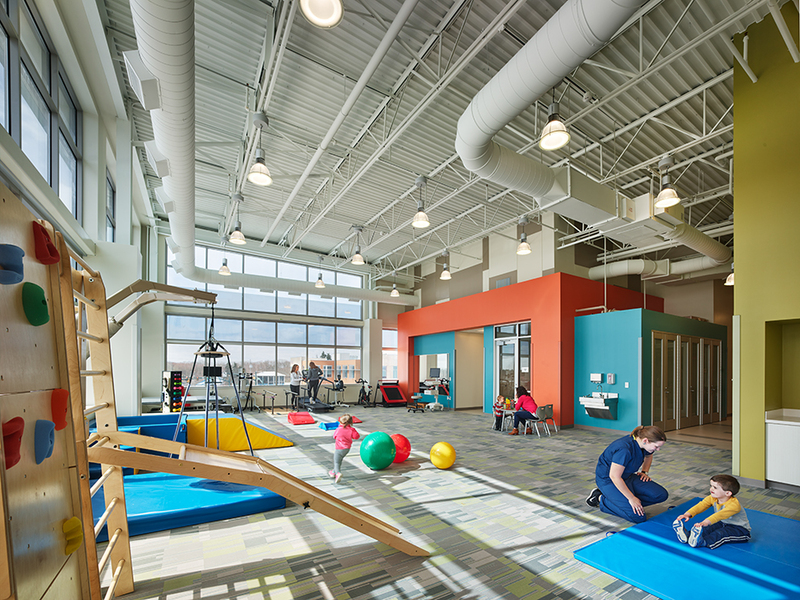 The AHN Pediatric Orthopaedic Institute’s high tech facility serves patients up to age 21, including young athletes who have sustained sports related injuries or who are trying to improve their physical performance. The new institute features several state-of-the-art interventions, including a new EOS ultra-low-dose X-ray machine, one of only two in the region. 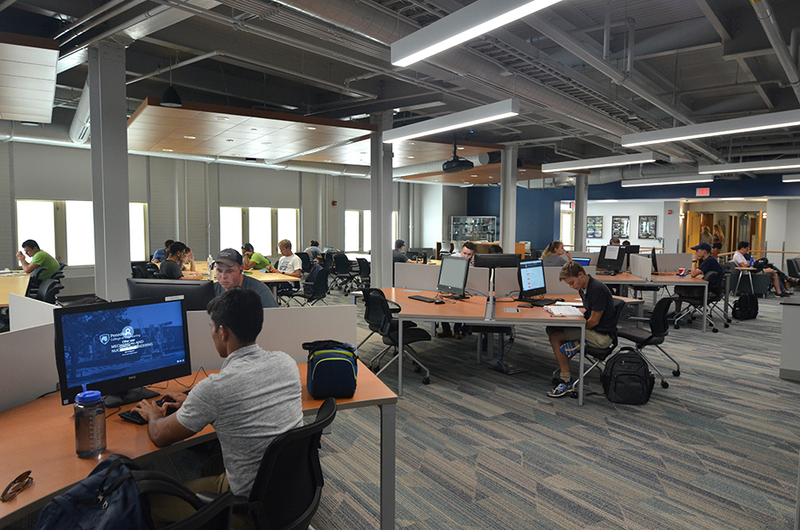 Penn State’s newest collaboration space (the Reber E-Commons) for Penn State Mechanical and Nuclear Engineering is open and busy with students on only the second day of the semester. We had a perfect day for the annual WTW Family Summer Picnic. 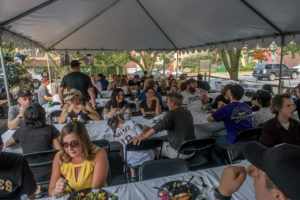 Great catering by Bistro To Go & Company an exciting yet rainy Pirates game at PNC Park! The night ended with a great performance by “Chicago”! 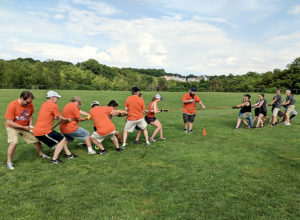 Thank you to the Post-Gazette for this great article and to all of you who have helped WTW over the years. It’s great to be recognized by the Pittsburgh Post-Gazette for our national university practice. None of this would be possible without the great work by our dedicated group of professionals.